Sinabawan Ulo ng Maya Maya. The other day I found this fresh maya maya fish head at South Supermarket in Filinvest Alabang. Without hesitation I immediately grab, knowing that this premium fish is no cheap. One medium size fish head costing about 500 pesos, immediately cut short my grocery budget money. 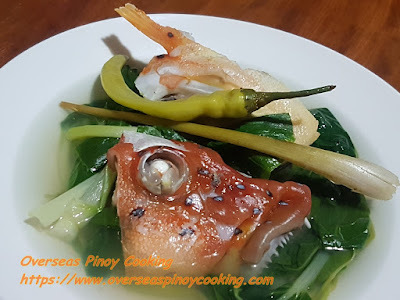 Never the less I was pretty sure that it will make a great fish soup meal, I wanted to have Sinabawan Ulo ng Maya Maya. 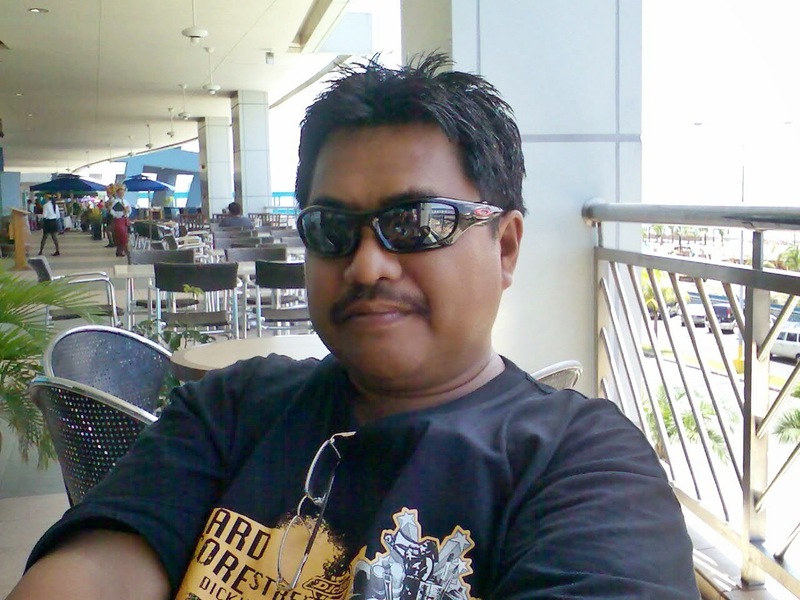 To make my Sinabawan Ulo ng Maya Maya. I needed to have the basic ingredients, some tanglad, ginger, onions, tomatoes and some leeks. My vegetable choice was the Pinoy pechay. 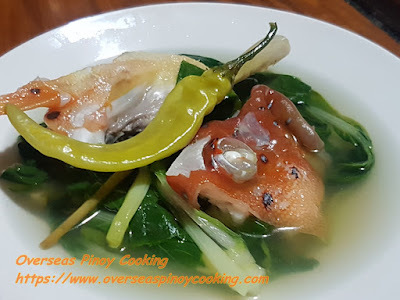 Here is the recipe of my Sinabawan Ulo ng Maya Maya. In a large sauce pan bring to a boil about 5 to 6 cups of water, add in the lemongrass, ginger, onion and tomato, simmer for 3 to 5 minutes. 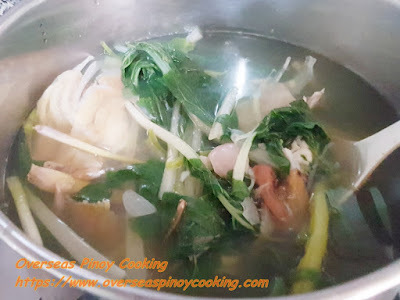 Add in the pechay, the fish on top of the vegetables then the green chili, continue to simmer for about 2 to 3 minutes. Season with salt to taste. 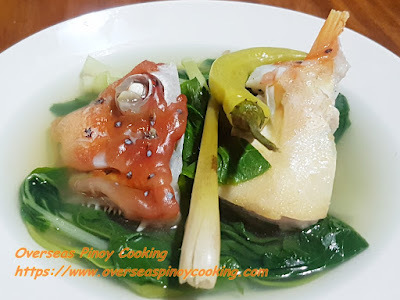 Add in the spring onion and cook for another 2 to 3 minutes or until the fish are just cooked. Serve hot.